For 2007, Nissan redesigned the entry-level Sentra, making it bigger, sportier, and offering a wider range of trim levels from a base commuter model (base model) to the sporty Sentra SE-R and SE-R V-Spec. With the Sentra out of the way, Nissan introduced the Versa – an inexpensive subcompact with excellent fuel economy that was aimed directly at commuters that want a basic “Point A to Point B” car. 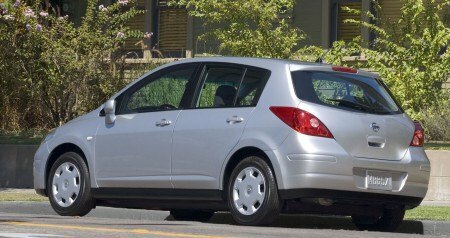 The Nissan Versa was not produced with enthusiasts in mind. If there’s anything I can say about this car is that it’s an absolute bore to drive. It’s bland, boring, vanilla…whatever you want to call it. But isn’t that the point? The Versa was made when oil prices were rising out of control and the “vehicle to have” began to shift from big SUVs and trucks to small, efficient cars with a high MPG rating. People wanted a vehicle in which they could drive to work and back every day without spending $20/day in fuel costs. They didn’t care about how fun it is to drive, or how fast it go from 0-60 mph. Nissan, along with Toyota (Yaris) and Honda (Fit,) among other manufacturers, answered back with highly versatile compact cars with great fuel economy. Unfortunately for Nissan, the Yaris and Fit are also at least somewhat fun to drive. What Nissan has over its competitors in this class includes size, power, and price. 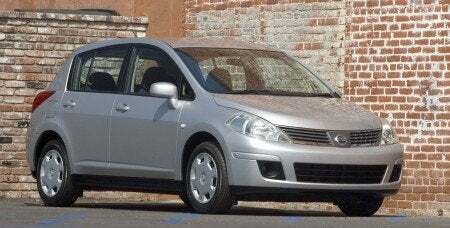 The 2009 Nissan Versa Hatchback is roomier (and heavier) than the other compact hatchbacks – the EPA even classifies it as a midsize car – and it has plenty of leg and headroom for the driver and all passengers, although driver hiproom can be a bit narrow for some. The 1.8-liter 122 horsepower engine included is more powerful than the others, though doesn’t feel like it when driving. The engine gets 24 mpg in the city, and when you eventually get to highway speed, 32 mpg while cruising. A 107 hp 1.6-liter engine is also available in the base model Versa sedans, which I suspect is the same engine you’ll find in many go-karts. The 4-speed automatic transmission, which was equipped on our test car, only added to the sleep-inducing nature of the car, and proved a bit of an annoyance. I can’t really put my finger on what I didn’t like about it, but I’m positive you’d be better off with the available CVT or manual transmission, even if they didn’t have the inherent fuel economy benefits. Inside, the barely-bolstered seats are soft, but provide no support when you’re turning a corner. Which reminds me – the 2009 Nissan Versa Hatchback has no resistance to body roll, so going around any turn faster than sluggish makes you feel like you’re about to flip the car, and going around any corner fast will result in the tires screaming bloody murder. Handling is otherwise fairly responsive and well-applied, making the car very easy to drive. My biggest complaint about comfort in the 2009 Nissan Versa Hatchback is the high seating position for the driver. This is necessary for some, but for taller drivers it’s quite annoying. This could be easily fixed by having a vertical height adjustment on the seat, but sadly it’s not there. 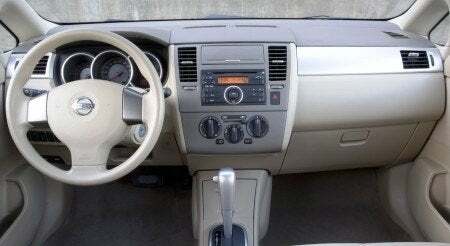 I would also like to have an MP3 player auxiliary jack, but it’s only available on the highest trim level, making it impossible to listen to any music other than CD or radio. Competitors have this feature, so should Nissan. Another major complaint is that ABS is a $250 option. They did this to keep the cost down, of course, but in today’s cars, there’s no reason that ABS shouldn’t be a standard feature. They’ve included TPMS (tire pressure monitoring system) in every trim level, but no ABS? Our 2009 Nissan Versa review model was a 1.8 S Hatchback, which starts at $13,990 and includes a 4-speed automatic transmission (6-speed manual optional,) A/C, single-disc CD player, and 60/40 split rear seats. The SL model adds a CVT transmission, power everything, remote keyless entry, MP3 auxiliary jack, cruise control, and bluetooth, and starts at $16,100. The 1.6-liter Sedan starts at $9,990, which Nissan touted as the least expensive new car on the American market, until the jerks over at Hyundai dropped the price of their entry level Accent to $9,970. So you can get into a Versa for a very low price, but you’re not going to get anything for it. A measly 107 hp engine is expected, along with a 5-speed manual transmission. For that price, you’ll get 14-inch steel wheels, six airbags, Tire Pressure Monitoring, and all the air inside the cabin…that’s it. No ABS, no air conditioning, no audio system, no cruise control, no power accessories, no mirror in the visors – it’s strictly a budget choice. Not that there’s anything wrong with that, but once you choose the SL trim level and start to add on some options, you get into a higher class price range. It may sound like I’m bashing everything about this car, but it’s really not that bad. Other than the details listed above that I didn’t like and the fact that it’s incredibly boring, it’s not supposed to impress car enthusiasts like me. It does its job, and it does it well, which is to inexpensively get you from point A to point B everyday in reasonable comfort. If that’s the type of car you need, give the 2009 Nissan Versa a look. Also be sure to look at the Toyota Yaris and Honda Fit, as they will each have something unique about them and might fit your needs better. 6 Comments on "2009 Nissan Versa Hatchback Review"
Just an FYI, TPMS is required on all cars sold after September 1, 2007. That's why the system is standard on this car while it doesn't have ABS. I should have known that :) I still don't agree with it; why would TPMS become required before something that's actually useful like ABS? I hate TPMS – it's a good thought, but not only do they make regular tire maintenance and replacement more expensive, but they don't work very well. Most cars' TPMS systems simply show an alert when it notices the tire pressure is off. It doesn't specify which wheel, or how much it's off. Some of them alert you when it's only 1 PSI off, which is pointless and annoying. At that rate, people will start ignoring the warnings and the system will become useless anyway. I've driven all the other models and makes out there, but the quality and price is just so much better on the Versa than the Honda and Toyota and Hyundai. Plus they've sold like over a million of these worldwide and might one day surpass the Corolla. I'm not sure what you drove in your review: The wife has a Yaris and the Versa is a bloody sports car next to it. The Versa has firmer suspension, a slick 6spd manual, more power and less "floaty"-ness of the back end when flying through a roundabout. You can lambaste the 1.6L all you want calling it all sorts of names (because I've never tested the 1.6L) but that 1.8L is far more powerful and responsive than the Yaris and the Fit's mills especially paired to the 6spd – although it'd still be fun to imagine a Nissan VQ in the Versa. I'll happily take the Versa 11 times out of 10 against the Yaris. Spikedlemon: To me, the Yaris Hatchback seemed more nimble than the Versa, and I simply found it to be more fun to drive It's not that the Versa isn't a good car, I just like the Yaris better in this case. I can't comment on the sedan though, I didn't drive the Versa four-door, only the Yaris and it wasn't quite as fun to drive as the hatch. I don't doubt the Versa's specs, it's all about feel for me. Has anyone who still has their 2009 Versa “S” Hatchback noticed the deterioration in suspension and ride factor? I live in a New England city and frostheaves and potholes aside, I am really disappointed in the ride comfort for such a relatively “new” car. 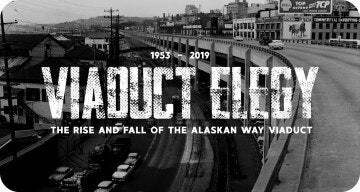 I attempt to miss as many manhole covers, drainage grates, construction patches and the lot as possible, but it still seems like the suspension has deteriorated at an accelerated rate. I have always had large American vehicles before my Nissan, most with “air-ride” suspension so I realized it wouldn’t ride the same, but when I first got the Versa, the ride was enjoyable and passengers commented on how well it rode, as well as the volumnanous interior. Now with the new touring tires and constant alignments and maintenance, it seems like it will soon be a “rattle-trap”. I loved the hatchback so much and was planning on keeping it for some time until I was ready to trade-up for a Juke(that’s another story), but have rapidly become disenchanted with my “BEARCAN” my nickname for it)! Also, I have replaced the rear passenger’s hubcap three times in the first year only to still have a “naked” rim. Friends keep asking me why I don’t replace it because it makes the Versa look cheap. I’m sick of searching out and buying a new or used hubcap only to have it fall off within a few days. Whenever I see another 2009 Versa, I’ll check for hubcaps and at least 80% are also missing (at least) one hubcap and it is usually on the passenger’s rear! Coincidence? I’ve read a few complaint sites recently and this problem has been mentioned a few times. If it is a reoccurring issue with 2009 hubcaps, shouldn’t Nissan have some responsibility for resolving the loss? One site’s solution was to go out and buy a new set of hubcaps!?! Not only is it an added expense for someone on disability, but it releases the manufacturer from responsibility if not reported and recorded (on file) with the dealership. If enough incidences were recorded, perhaps the manufacturer, in this case-Nissan, would want to keep their reputation of quality and offer a solution to a frequently reported complaint and want to resolve it to customer”s satisfaction(s). Maybe an upgraded set of hubcaps!?! I’ve noticed a couple of Versas in my area have purchased a new set of non-factory hubcaps with success of wear. I did go back to a Nissan dealership shortly after purchasing my 2009 due to “brake squeal”. They tore the brakes apart and found I needed a “Retro-fit” kit that they gladly put on for free due to recorded complaints from other Versa customers experiencing the same issue. The brakes still continue to “squel” when backing up but otherwise are behaving. I also have a very random mystery that has happened to me when driving alone and ocassionally with a passenger. I will go to stop and the Versa will excelerate on it’s own!!! This has happened maybe 18 times since I bought it new in December of 2008! Very alarming. I’ve brought it to the dealership and they have test-driven it with yheir mechanic-no problem! I brought it back and have driven it while a mechanic has ridden “shot-gun”-no problem! It happens so randomly, I can’t find a pattern. Finally I brought it in and they gave me a loaner while the service department had two specialists literally tear my Versa “S” hatchback apart to resolve the problem…they found nothing:( A few days later, I received a letter from Nissan Corporation Legal Department stating that nothing was found and that Nissan would not be legally responsible for the problem or it’s affects in the future. That’s it, case closed. I continue to call to have it recorded whenever it still happens, so it will be “on-file”, if it someday causes me to cause an “incident”. Overall, you get what you pay for. I was (and still am) financially challenged. I went through a Financial program/course to get my Versa (a friend of mine had a 2007) not looking for anything but a Versa hatchback in Magnetic Gray with automatic transmission because of recent and future surgeries to knees and foot (it’s extremely easy to enter/exit-all 4 doors). It is my first brand new, off the lot purchase! I had my picture taken with my car the day I bought it by the Financial agency I was dealing with for their literature as a “Success Story”. The newness goes away, but I was hoping the Versa would hold up longer-ride wise, than it has. I once had synthetic “Mobil 1” oil put in at reccomended interval and ever since the aforementioned oil change, the engine has a very definite tick, tick, tick while running that it didn’t have prior. I have learned the company (ASE certified) no longer uses that “oil”, no comment as to why not (and very little info I can find on the internet). Be weary! I hate the “Tick”, it ran so quiet previously, I couldn’t hear the engine running…nice! Last but far from least, what’s going on with the Juke recall? I was planning on (possibly) trading my Versa in when the extended warranty expied. Haven’t had an opprtunity to do much research until today. I caught a news lead-in awhile ago announcing the recall but it didn’t say why. Please comment with any like issues with your Versa hatchback-especially a 29009 model year.